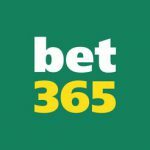 2019 St Leger Stakes betting offers, free bets, enhanced odds and competitions. New Customer Offers, 18+, T&C’s Apply to each of the offers below, click “Bet Now” for more information. *Odds correct as of 14 January 2019, 17:19. Odds are subject to change. For Full Market Odds See Betting Site. Our odds may be several days old and are reproduced to give you an indication of the betting market. The St Leger Stakes is a Group 1 flat horse race held on Day 4 of the St leger Festival (a Saturday) and is run at Doncaster over a distance of 1-mile, 6 furlongs and 115 yards (2,921 metres). The St leger Festival is scheduled to take place each year in September. The St Leger Stakes was established in 1776, the St Leger Stakes is the oldest of Britain’s five Classics. It is the last of the five to be run each year, and its distance is longer than any of the other four. The St Leger Stakes is the final leg of the English Triple Crown, which begins with the 2000 Guineas and continues with the Derby. 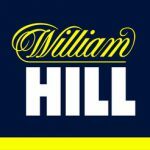 The 2019 William Hill St Leger Stakes horse race will be held on Saturday 14 September.